Hero Motocorp is gearing up for the launch of the Xtreme 200S sporty naked motorcycle in the Indian market. The bike is expected to be shown at the 2018 Indian Auto Expo, with the launch also likely to happen in February next year. This was confirmed by Dr Markus Braunsperger, Chief Technology Officer (CTO) of Hero MotoCorp and Head of Hero MotorSports. If you might remember, I said that we will make the Xtreme 200S happen before the next Auto Expo. So you can expect the Xtreme around the Auto Expo. We are at the finish line. Even with the xPulse, we have received big, positive feedback which will further enhance our efforts to make it happen. The Xtreme 200S will be the company’s first launch in the 200cc segment in a long time, after it stopped producing the Karizma range. The Xtreme 200S will be the range-topping bike in Hero’s line-up for the Indian market. It will compete with bikes like the Bajaj Pulsar 200 NS and the TVS Apache RTR 200. The Xtreme 200S is likely to be priced at around Rs. 90,000. The bike will be powered by a 200cc four stroke engine that will be air cooled. This motor will pump out around 18.2 Bhp of peak power and 17.2 Nm of peak torque. It will have a five speed manual gearbox as standard. The bike is also expected to get disc brakes on both wheels and ABS. The bike features more aggressive styling than the 150cc Xtreme and also gets LED DRLs. It was first shown as a concept at the 2016 Indian Auto Expo. Hero is also planning to put the on-off road XPulse 200 into production next year. The XPulse is expected to be launched sometime in the middle of next year. It will share its engine with the Xtreme 200S but will have completely different suspension and styling. 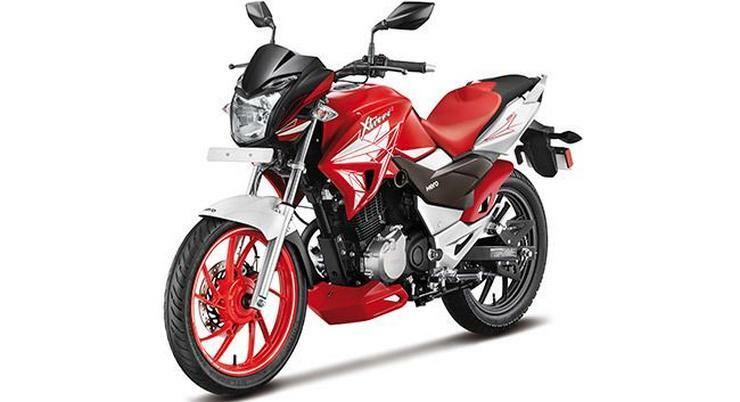 It is expected to be the priciest bike in Hero Motocorp’s range when launched in the Indian market.